In the wake of that post three weeks ago, I have encountered numerous examples of technical breakdowns which warn of a developing market top. Firstly, American investors have been spoiled because US equity markets have been the global market leaders, which may have created a false sense of security for American investors. Technical deterioration has been evident to non-US equity investors for most of 2018. 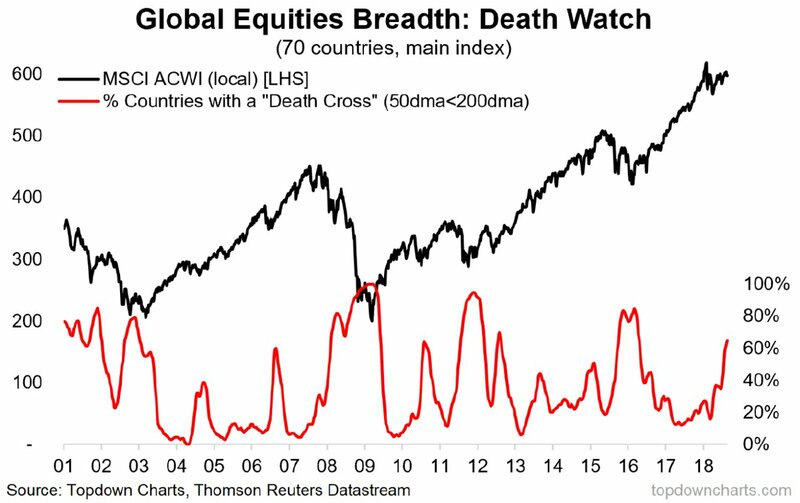 Callum Thomas of Topdown Charts found that the number of equity markets experiencing a death cross has been steadily rising. (A death cross occurs when the 50 dma falls below the 200 dma, indicating the onset of a downtrend). 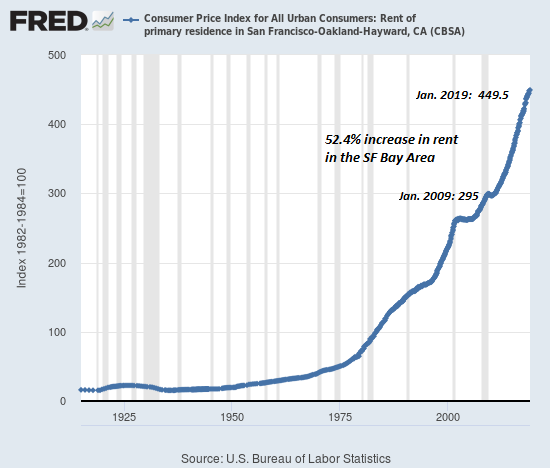 In the US, evidence of technical deteriorating is starting to appear. Consider the stock/bond ratio (SPY/TLT), which includes the total return. As the S&P 500 broke out to an all-time high last week, why did SPY/TLT behave so poorly? This ratio staged an upside relative breakout to fresh highs in early August, pulled back to test the breakout level, and it has been unable to strengthen back above relative resistance. Is that telling us something about risk appetite? The ratio of high beta to low volatility stocks (SPHB/SPLV) is also flashing a cautionary message about risk appetite. This ratio had been consolidating sideways for most of this year, and recently broke a key relative support level. 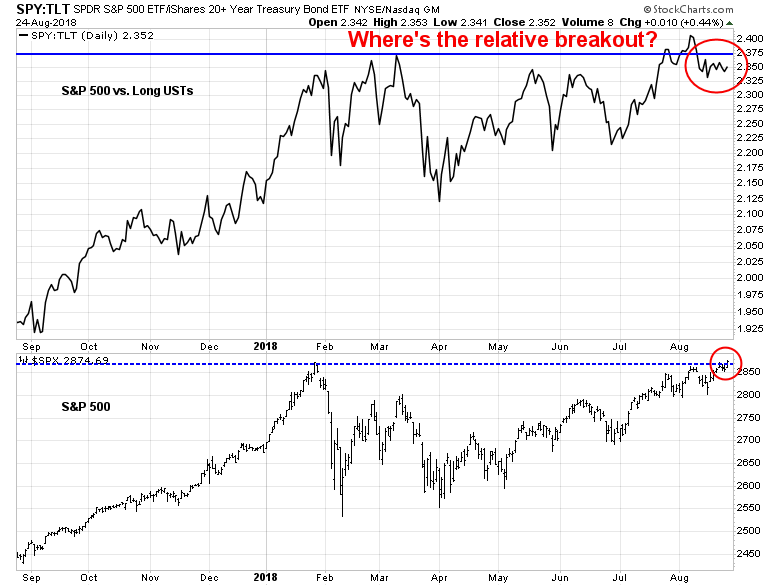 While risk appetite has tactically improved and the ratio has rallied back above the relative resistance line, the technical damage done by the relative support breach is something investors should be paying attention to. Market internals of sector leadership based on RRG charts is also showing that the bears are taking control of the tape. 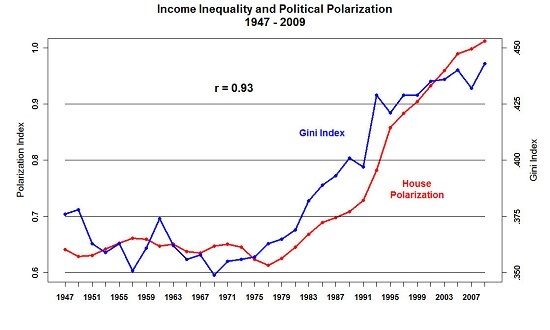 As an explanation, RRG charts are a way of depicting the changes in leadership in different groups, such as sectors, countries or regions, or market factors. The charts are organized into four quadrants. The typical group rotation pattern occurs in a clockwise fashion. Leading groups (top right) deteriorate to weakening groups (bottom right), which then rotates to lagging groups (bottom left), which changes to improving groups (top left), and finally completes the cycle by improving to leading groups (top right) again. The latest RRG of style, or factor, leadership shows that the leading groups have become defensive and value in nature, while high-octane groups, such as IPOs, high beta, and price momentum are either weakening or lagging. This shows how the character of stock market internals have shifted in the past 10 weeks from growth to value, and from high beta to defensive factors. The RRG chart of US sector leadership tells a similar story. Defensive sector such as Consumer Staples, Healthcare, REITs, and Utilities are all either improving or leading sectors. The appearance of heavyweight sectors such as Financials and Technology in the lagging and weakening quadrants is also creating headwinds for the major cap and float weighted indices. On an absolute basis, this chart of VNQ, which represents REITs, is undergoing a bullish cup and handle upside breakout. Leadership from such a defensive sector is another technical warning of a potential market top. The heavyweight financial stocks are current in the “lagging” quadrant, and appear to be on the verge of rising to the “improving” quadrant, but even that recovery may be suspect. As the chart below shows, the relative performance of this sector is highly correlated to the shape of the yield curve. They outperform when the yield curve is steepening, and lag the market when it is flattening. The yield curve underwent a brief steepening episode, but it appears to have reverted to its flattening trend as the Fed has signaled a steady pace of rate increases. Another clue from sector leadership can be seen in the performance of cyclical stocks compared to defensive stocks. 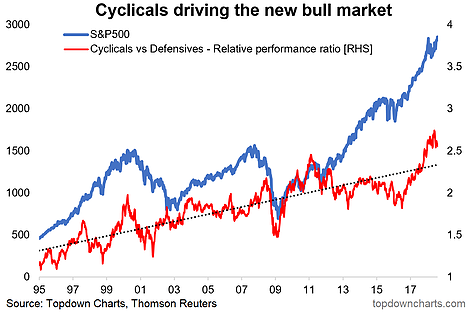 Callum Thomas of Topdown Charts observed that cyclical stocks have been one of the key drivers of this equity bull, but the cyclical to defensive stock ratio is starting to roll over. 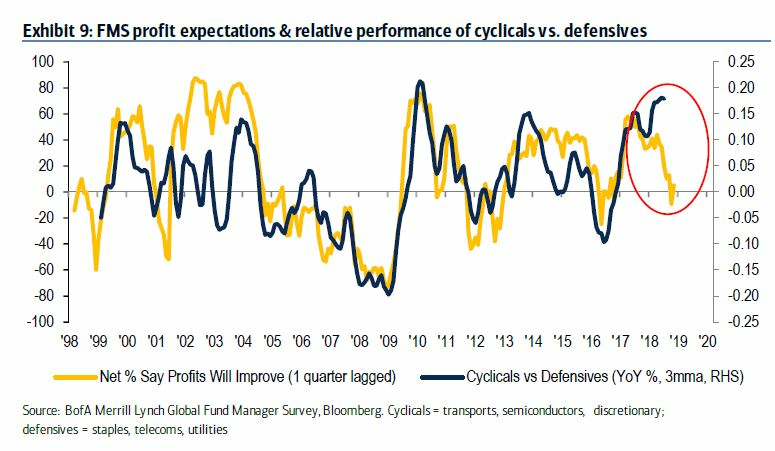 Globally, the BAML Fund Manager Survey found that consensus profit expectations are also deteriorating, which usually foreshadows weakness in the cyclical/defensive stock performance. The copper/gold ratio is another way that we can see how the global cycle is rolling over. Both copper and gold have commodity and inflation hedge characteristics, but copper is more sensitive to industrial production and therefore its price is more cyclically sensitive. As the chart below shows, the copper/gold ratio is declining, and this ratio has historically been correlated with the stock/bond ratio, which is a measure of risk appetite. In addition, trend following models are starting to flash warnings of market weakness. I first encountered Chris Ciovacco’s work in 2016 when his trend following models proclaimed [A] Stock Market [buy] Signal Has Occurred Only 10 Other Times In Last 35 Years. This YouTube video explained his decision process. 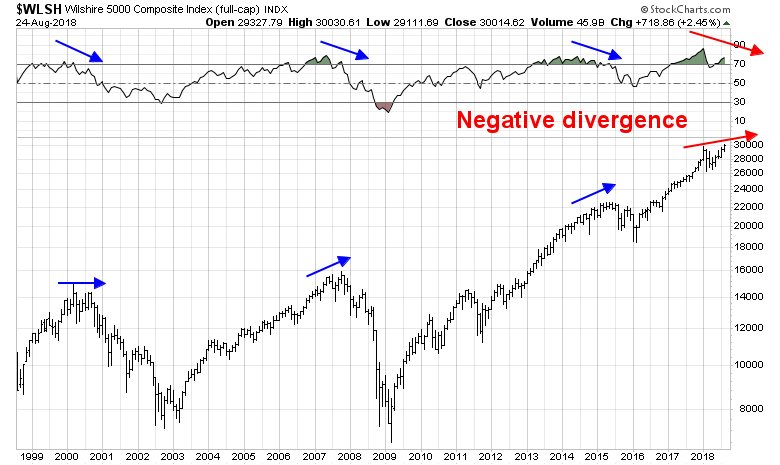 Ciovacco uses a trend following model which applies a 30, 40, and 50 week moving average to the NYSE Composite. A bullish condition occurs when each of shorter MAs are above the longer MAs, and vice versa. A warning signal is flashed when the short (30 week) MA falls below the medium (40) week MA (vertical lines). By design, trend following models will not pinpoint the exact top or bottom, but they spot the trend, and they are usually late in their buy and sell signals. As the chart below shows, the 30 WMA of the NYSE Composite just fell below the 40 WMA, which is a bearish warning*. As well, consider how the 30, 40, and 50 WMA trend following model is telling us about market conditions when we apply the model to the Value Line Geometric Average, which is another broad measure of the stock market. How about the equal weighted S&P 500, as a measure of the average large cap stocks, as opposed to the more conventional float-weighted index? Of the broadly based indices, only the Wilshire 5000 is on a buy signal, though the 30 wma is showing signs that it is rolling over. I interpret these conditions as failing price momentum, which is another warning for the bulls. * Ciovacco remains bullish on equities today, but his bullishness is justified by moving his original goalposts. 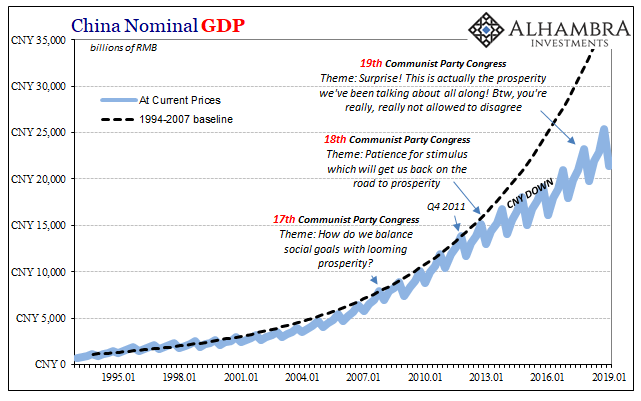 A recent article, These Facts Do Not Support Major Top Theory, presented evidence by comparing the behavior of stocks, bonds, and gold in 2008 to today. Indeed, the performance price momentum factor has been rolling over, which is worrisome. A team of academic researchers at the Cass Business School found in 2012 (see The Trend is Our Friend: Risk Parity, Momentum and Trend Following in Global Asset Allocation) that traders can optimize their results by combining trend following with price momentum. 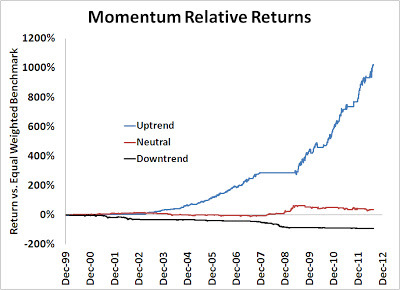 Price momentum works best when the stock market is an uptrend, and performs badly in a downtrend. In other words, when the market is rising, buy the hot story stocks of the day. My own study reproducing the results at the sector level, instead of the stock level momentum observed in the original study, found a similar effect. I calculated the returns of a basket of high momentum sectors under different trend conditions. The accompanying chart shows that price momentum returns were astoundingly positive in uptrends, negative in downtrends, and had minimal effect in neutral trends. 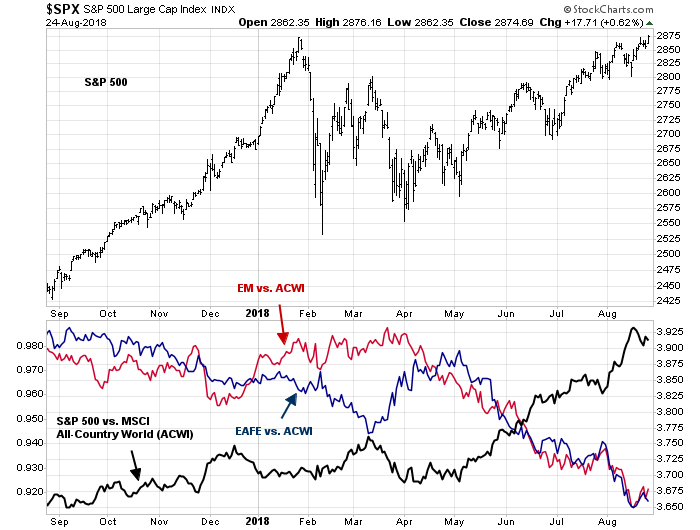 The lackluster performance of price momentum for most of 2018 has to be regarded as a warning sign that the market trend may be faltering as well. In summary, there are at least ten separate and distinct technical warning signs that a major market top is forming. One of the adages of technical analysis is while bottoms are events (because of emotionally laden panics seen at bottoms), tops are processes (as complacency and technical deterioration set in). I interpret current conditions as the US equity market undergoing a topping process. While stocks are unlikely to crash tomorrow, investors should be prepared for the bears taking control of the tape in the not too distant future. In a future post, I will also detail the macro and fundamental headwinds for equity bulls. Even as many of the major stock indices staged upside breakouts to fresh highs last week, the lack of a breadth thrust is worrisome. 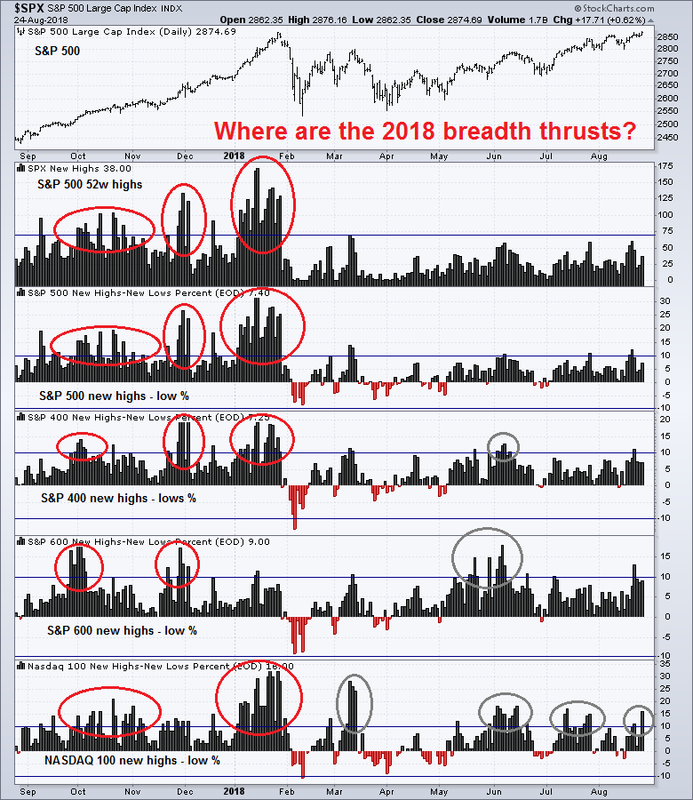 Compare the strength of the breadth thrusts shown in the market melt-up that began in late 2017 across all market cap bands and in NASDAQ stocks to 2018. 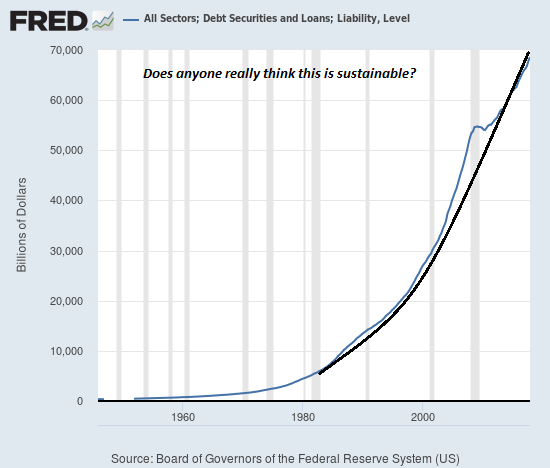 One of these market advances is not like the other, which puts into question the sustainability of the current rally. 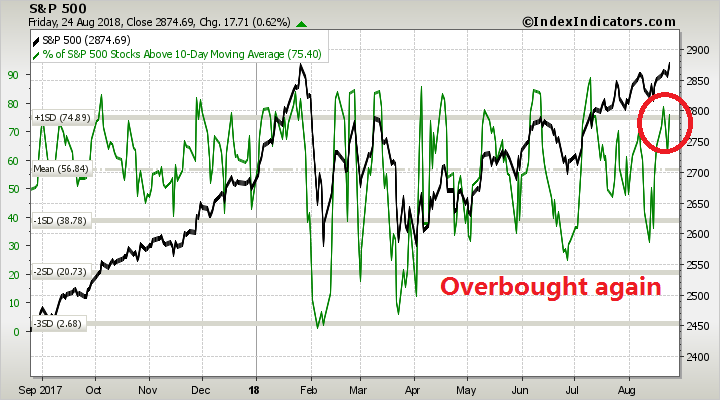 In the short run, short-term (3-5 day time horizon) breadth from Index Indicators is back at or near overbought levels. While overbought markets can become more overbought, the risk/reward is tilted to the downside, especially in light of an absence of breadth thrusts that make the likelihood of a series “good overbought” conditions less likely. Short-term risk appetite may be a function of the USD. 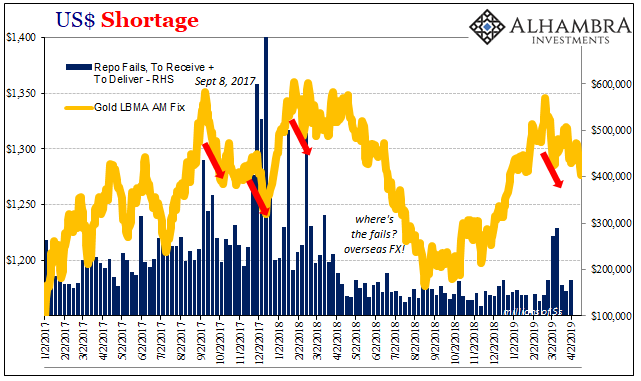 A rising USD has the undesirable effects of weakening the Chinese Yuan, which exacerbates trade tensions, puts pressure on vulnerable EM currencies, and depress the earnings of US large cap multi-nationals. The USD Index staged an upside breakout through the 95 key resistance level in early August, but weakened on the back of Trump’s comments on monetary policy, and the perceived dovish tone of Powell’s Jackson Hole speech. What happens next? Your guess is as good as mine. My inner investor is taking advantage of market strength to selectively lighten up on his equity positions. 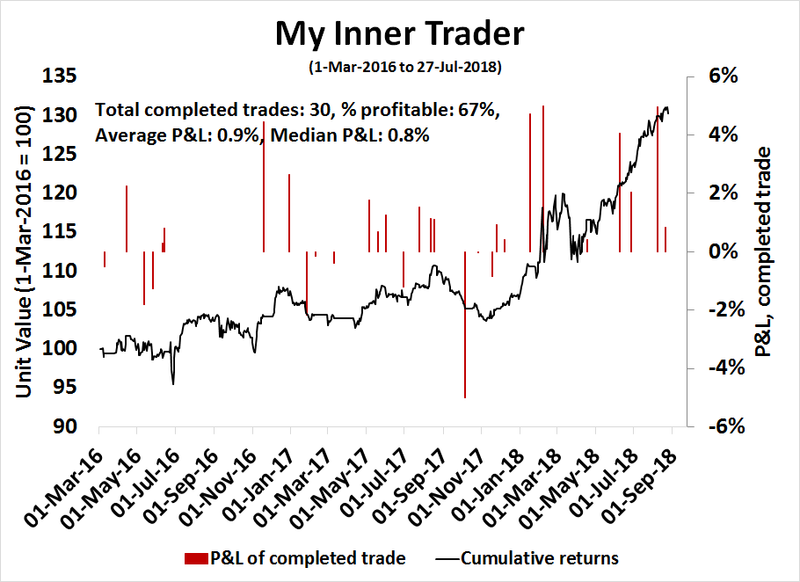 My inner trader remains short the market.